I thought cooking is a skill that must be trained continuously. If it's not, so we can be easily forgotten. Forget the same dose of seasonings and some tricks while cooking. Well finally I can post the recipe. Now, I was really happy that my cooking results being liked by husband. It's been long time really since I made a pudding, finally I made it. I miss homemade puddings as well as cheap fast food packet but homemade pudding was in quite large numbers, so that's enough to make us full and can be adjusted according to taste. FYI, the pudding is one quick easy snacks to be cooked. Yay. 1) Put the 1 pudding powder in a saucepan, mix sugar to taste and water. Stir stir. 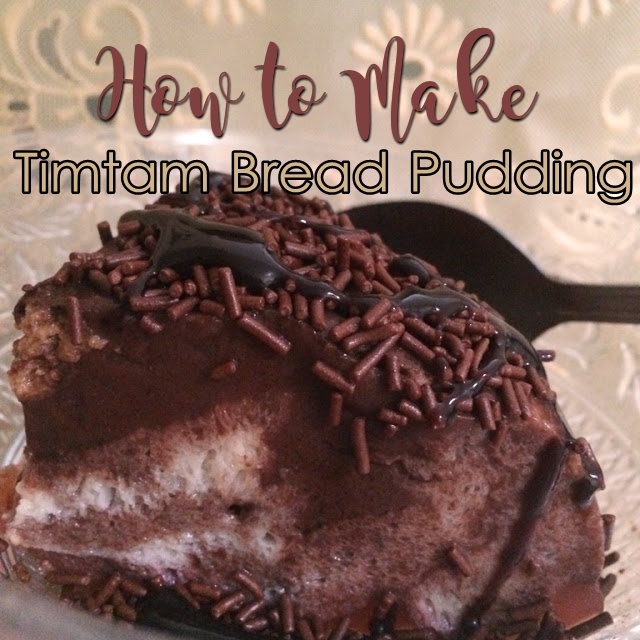 5) Turn off the heat and let sit, then insert it into a baking dish that has no bread and timtam. Tips pour slowly just by using a vegetable scoop, if poured a lot of pot immediately went up. 10) Remove from pan to taste, topped with chocolate sauce topping and chocolate meises. This kind of pudding was quick and easy for coffee or tea time. And yes it taste so good. Yum!